As part of a main meal or as a snack, vegetables can be enjoyed in a variety of ways. Each vegetable has it’s own significant nutritional content with varying proportions of vitamins such as Vitamin A, Vitamin K and Vitamin B6, provitamins, dietary minerals andcarbohydrates. They also contain a variety of other phytochemicals, some of which are antioxidant, antibacterial, antifungal, antiviral and anticarcinogenic properties. All this good stuff with minimal fat! 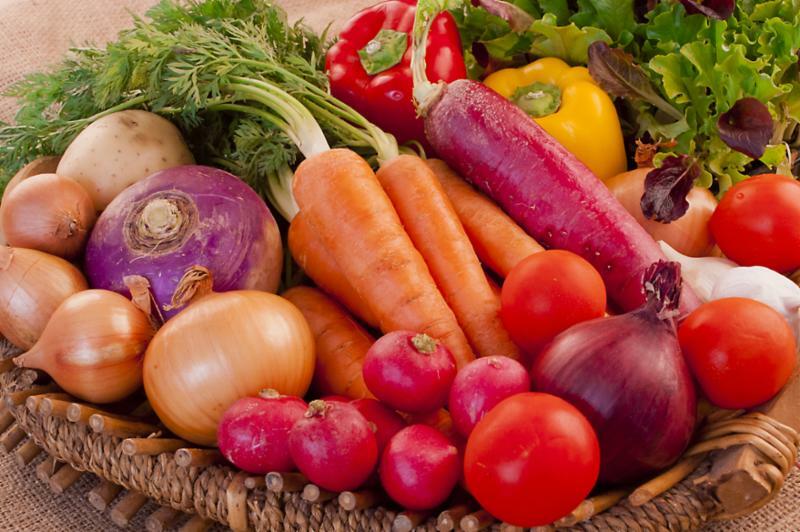 Many vegetables also contain fiber which is important for gastrointestinal function. When eating a diet consisting of the recommended amounts of fruits and vegetables, one may experience a lower risk of heart disease and Type 2 diabetes, decreased bone loss and protection against some cancers. In addition, the potassium provided may help prevent the formation of kidney stones. And we can’t forget about enjoying healthier hair and skin! It is recommended by the USDA Dietary Guidelines for Americans to consume 3 to 5 servings of vegetables per day. This recommendation may vary however, depending on age and gender. For most vegetables, one serving is equivalent of 1/2 to 1 cup and can be eaten either raw or cooked. Want to know what your favorite PrimeTime staff member prefers to put on their plate? Keep reading for some easy veggie ideas for you to try at home! Julie: Roasted asparagus w/ EVOO salt and pepper. Once done, topped with Spanish almonds. Rachel: Green, purple, yellow cauliflower drizzled in olive oil, salt and garlic powder on 400′ until crispy brown with red pepper flakes sprinkled on top. Yum!!! Sarah: Probably asparagus because it’s easy to cook. And sweet potatoes. Meredith: Eggplant . . . it’s great sautéed, baked, roasted with tomatoes, or mashed up as baba ghanoush. 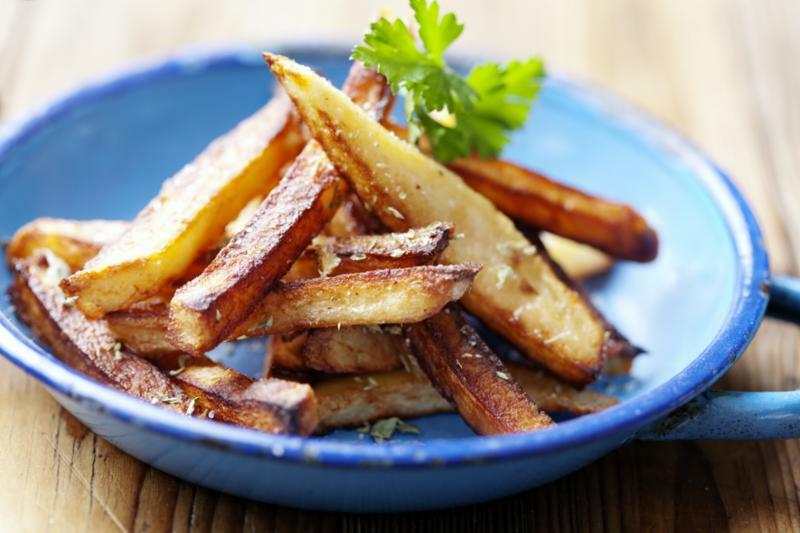 And roasted parsnip “fries” – simply slice a few large parsnips into strips, splash with olive oil and sprinkle with cracked pepper. Cover and bake on about 400 until tender….. delicious!